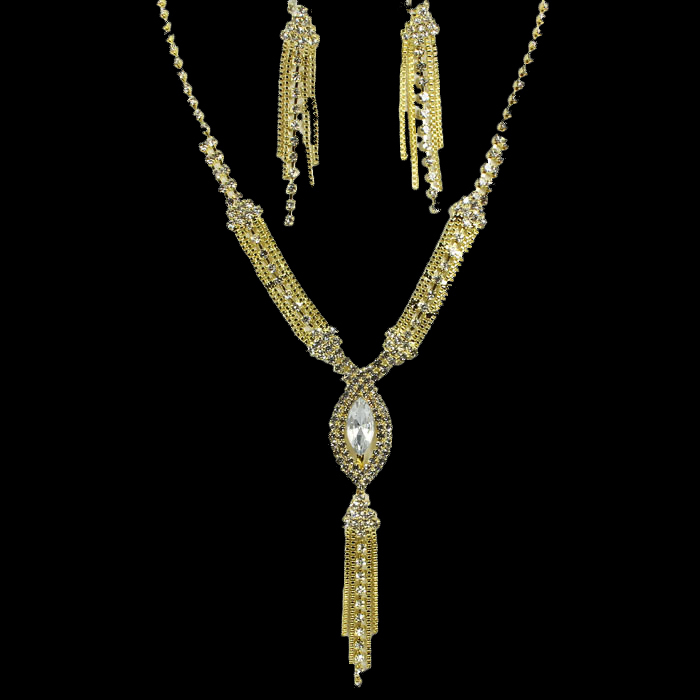 Allison Rhinestone Necklace Set will add sparkle to your evening attire. The almond-shaped pendant, tassel detailing, clear rhinestone crystals and the gold-tone metal, all work well together to create a fabulous design. Take advantage of our affordable jewellery online and boost your accessory collection today.